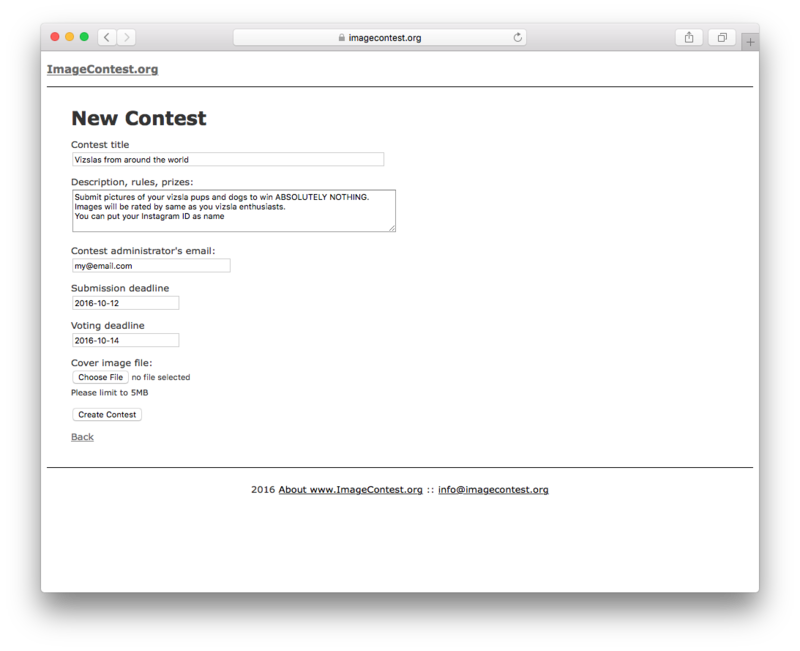 This is very simple service: You launch image contest, invite anyone (by sharing link) to submit images. 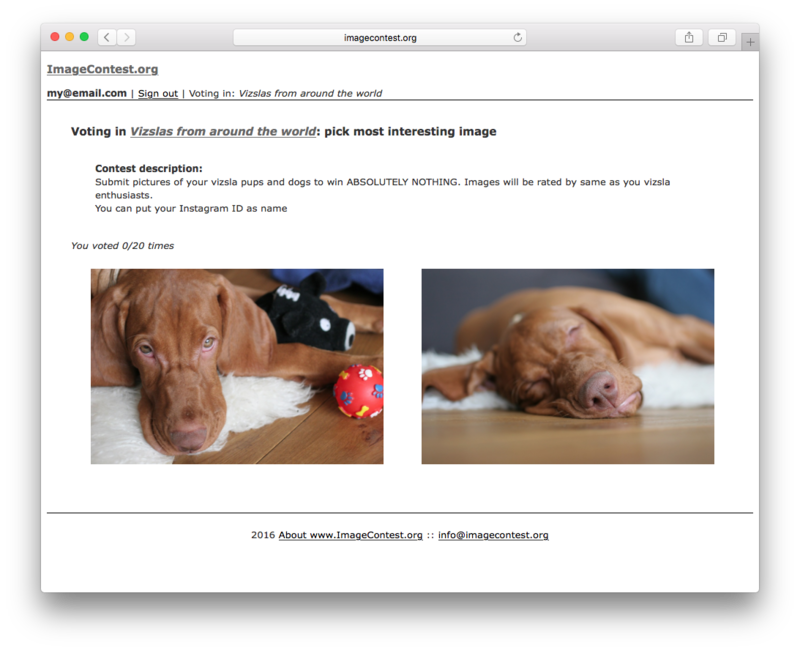 You invite anyone to vote on these images. For voting we implement pairwise comparison scheme: voters see two random images at a time and pick the best one. 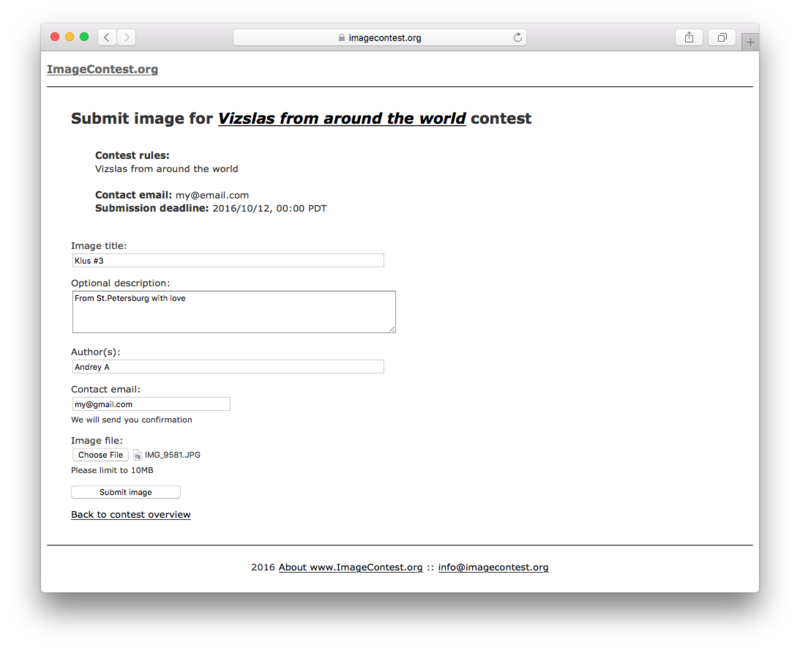 After voting deadline passes, results are available in form of a ranked list of submitted images. 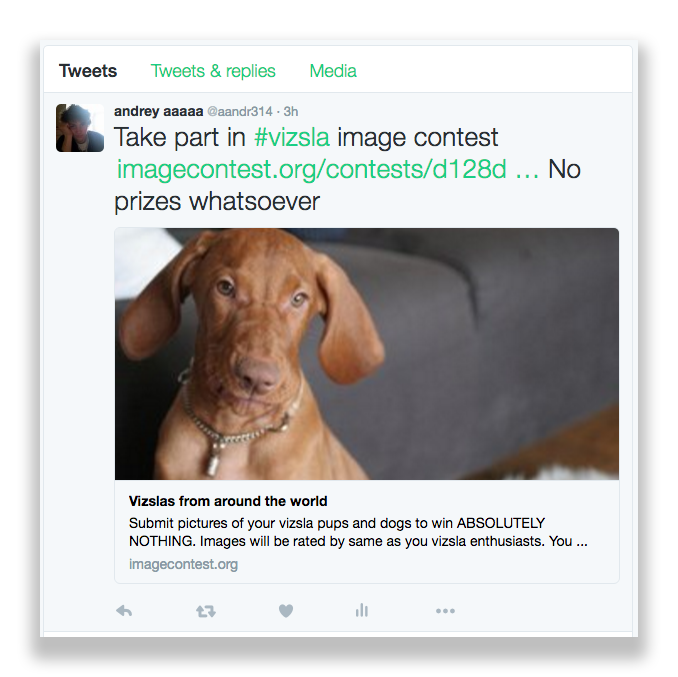 When posting on Twitter, contest cover image works as banner. Facebook and Google banners are coming soon!